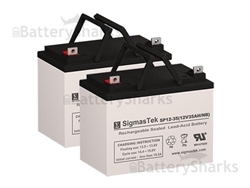 Overcharging SLA batteries can be very detrimental. When charging an SLA battery, oxygen from the positive plates migrates to the negative plates where it is reduced to water. This process is not 100% efficient so there is a need to expel the excess gas via special vents. When you overcharge the battery, these vents are not able to expel the gases as quickly as needed, which allows for build up of internal pressure. This shortens the battery life and can even cause it to become unusable. In some rare cases it is possible to witness battery swelling. Luckily SLA batteries have safety features to handle these kind of issues. Special plastic is used in their manufacturing so their casing can balloon instead of breaking. They are designed to be spill proof and there is an internal shorting mechanism in place with a purpose to stop the collection of additional gasses. 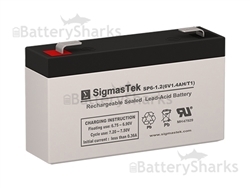 SLA batteries are often overcharged by mistake. On of the most common causes of overcharging is due to using the wrong charger. The first rule of thumb is that you should be using a charger with the same voltage as your battery – a 12 volt battery needs a 12 volt charger. But why are several 12 volt chargers listen on our site? Because you should also be taking into consideration the battery capacity. Take our 12 Volt 0.5 Amp Battery Charger for example. In its description you can see that it is best suited to charge 12 Volt batteries, rated between 1 – 3.5 amps. 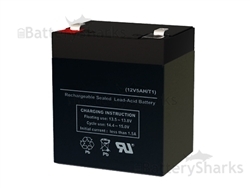 Failing to pay attention to this may shorten your SLA battery life. There is a simple formula you can use to get an estimate of the needed charging time. Multiplying the amperage of the battery by 1.3 and then dividing the total by the amperage of the charger will give you the hours for which you have to charge the battery, assuming it was completely discharged.